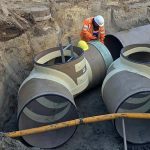 When it comes to allrounders in the world of pipeline infrastructure, Hobas and Flowtite GRP pipes are clearly top-of-the-line: They make water flow upwards, show their strength in urban environments, allow for efficient flood protection, and upgrade aging networks. This high performance and adaptability is crucial for products that need to stand the test of time. In fact, we need to make sure that the next generations have reliable access to our precious water. And I am happy to once again provide you with several examples of how Amiblu tackles our challenging future. 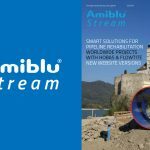 Enjoy browsing through the many projects and news in this issue of Amiblu Stream! Click here to download the April issue of our Amiblu Stream Magazine!